Unlike the pre-qualification letter, the pre-approval is received only after you have completed and signed the loan application and had supplied all the documentation that supports your income, assets and credit claims. During this process your lender will run your credit report and will most likely ask you to pay a fee for the application. 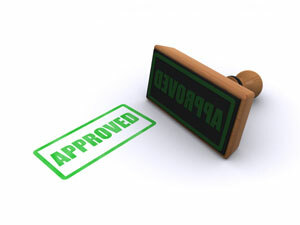 The pre-approval is good up to 120 days, if you have not found a home by this time your lender can update the pre-approval for you. It is recommended that anything over $300 for the original application fee is way too much.